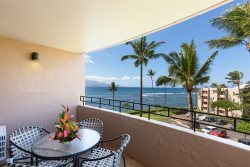 Ensure your stay is comfortable with I Go Maui; we proudly offer a wide variety of Maui vacation condo rentals with central AC and split AC systems. Stay cool after a day in the Hawaiin sun! Equipped with other great amenities our condo rentals are sure to have everything you need to make your next vacation unforgettable.Contact us today for additional assistance finding the perfect Maui condo rental!